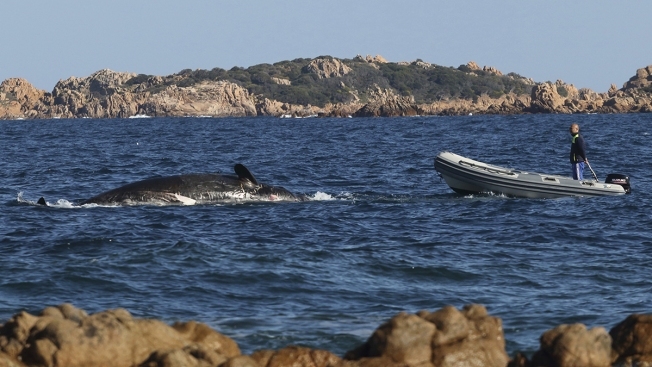 In this photo taken on Thursday, March 28, 2019 provided by SEAME Sardinia Onlus, a dead whale is approached by a dinghy boat in Porto Cervo, Sardinia island, Italy. The World Wildlife Foundation is sounding the alarm over plastics in the Mediterranean Sea after an 8-meter-long sperm whale was found dead off Sardinia with 22 kilograms (48.5 pounds) of plastic found in its belly. 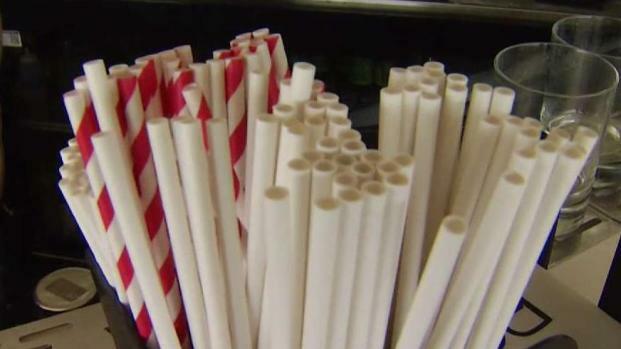 The environmental organization said Monday that the garbage recovered in the sperm whale’s stomach included a corrugated tube for electrical works, plastic plates, shopping bags, tangled fishing lines and a washing detergent package with the brand and bar code still legible. The female whale beached off the northern coast of Sardinia last week.